When it comes to investing in your home, a kitchen remodel may be the biggest (and best) investment you can make in your home. 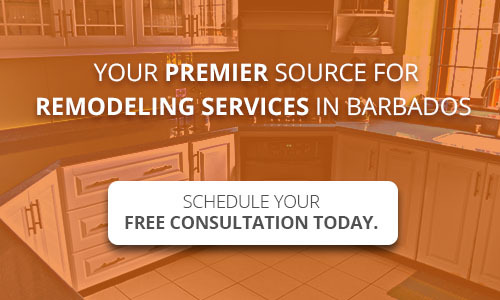 That said, before the remodeling process gets started, it is best to know exactly what kind of kitchen will fit your needs best while contributing to your home’s aesthetics. Since kitchen remodels are larger, more expensive home improvement projects, it is important that you will be happy with the end result. Whether your home’s kitchen remodel is large or small, check out five essential questions to consider that will help you kick-start the planning process for the kitchen remodel. 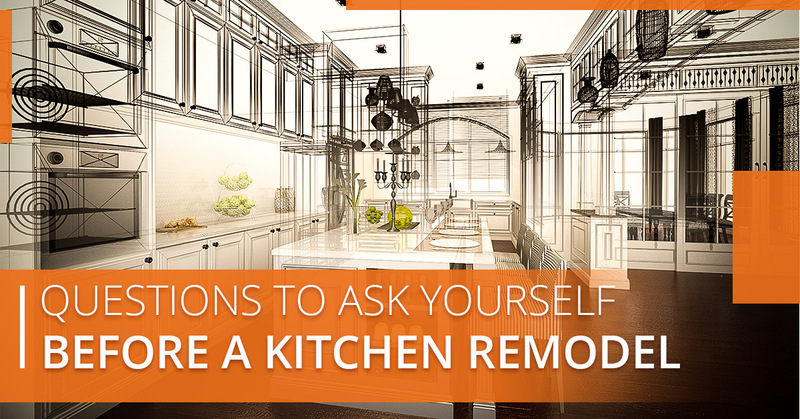 These questions will help you pinpoint the needs that are most important during a remodel, leaving you much happier with the final result. 1. How is the functionality of my kitchen? Kitchens are one of the most used rooms in a home. Often times, layout of kitchens can cause them to be crowded and busy. When considering a kitchen remodel, you will want to spend some time thinking about how well the layout of your kitchen works currently. Are you constantly running out of room? Is it impossible to host family meals? If you come to realize your kitchen is too small for your wants and needs, you may want to include an expansion in the remodeling process. If expansion is not a realistic option or is impossible, you can maximize kitchen space by rearranging cabinets, appliances, and other structures to create a more open space. If seating and storage space is an issue in your kitchen, you can simply knock out both by adding an island. 2. How much storage do I need? Speaking of extra storage, that is one of the common reasons homeowners opt for a kitchen remodel. From dishware, groceries, appliances, and much more, there are a lot of items within a kitchen that homeowners would like to store. The ideal kitchen would have a storage space for each item. When planning the remodel, be sure to factor in what important things need storage. Realistically, you’ll want to choose cabinet designs that can store all of your cooking and bakeware without difficulty. However, additional storage is not always an option if the kitchen is not big enough. If you have a small kitchen, you’ll need to be creative and come up with ways to add additional storage. For example, you can easily create extra room by having your microwave mounted, choosing cabinets and cupboards with an increased storage capacity. 3. What do I use my kitchen for? If you’re someone who doesn’t cook much, then you probably don’t want to include the addition of top-of-the-line appliances in the remodeling process. However, if you’re someone who enjoys cooking and preparing meals throughout the week, you will want to add appliances that are durable, reliable, and will last through years of use. If you enjoy hosting guests for meals, you may want to consider creating an open space that allows you to cook and mingle with guests at the same time. The costs that go into a kitchen remodel can quickly add up, so it’s important to create a realistic budget before starting the planning process to ensure that you will not over-spend. You can figure out your ideal budget by making a list of what important appliances and features that you want in your new kitchen. It is also helpful to make a list of items that are not of as much importance. Believe it or not, doing this can help you recognize areas in which you can save money. Once your budget is set, be sure to cushion it with some extra finances just incase un-expected costs or unplanned purchases arise. 5. What style will work best for me? When deciding which kitchen style you want, there are a lot of factors that should be considered. If you’re opting for a remodel, but plan on moving in a few years, you will want to choose a more traditional and modern kitchen design. This not only will increase the home’s value, but attract buyers as well. If this is the case, be sure to have neutral colors and cabinets included in your remodeling plan. Granite counters and backsplash designs also aren’t a bad idea to consider. By designing a kitchen that attracts the majority of home buyers, you will most likely have a positive return on your investment. If selling your home isn’t something you see happening soon, style your kitchen in a more personalized style that is unique to you! Regardless, the design of your kitchen should be aesthetically pleasing! Before the remodeling starts, be sure to plan your goals and recognize what’s most important to you in a kitchen. Doing so will ensure that your new kitchen isexactly the way you wanted it and within the budget you decided on. When you’re ready for a remodeled kitchen in Barbados and the surrounding area, be sure to contact the remodeling experts at Fiber Pol, Inc. We specialize in the installation of modern and trending kitchen countertops and cabinets. For more information, contact our team today!